When the first Porsche 911 cars evolved from the 356 they maintained the same tire size 165HR15. 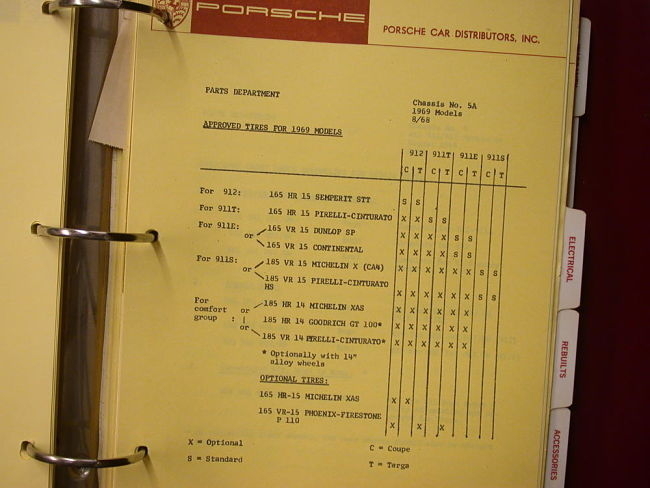 One of the original equipment 165HR15 tires that was offered by Porsche with the 911 was a Pirelli 165HR15. 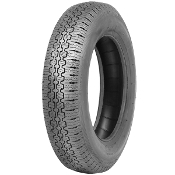 Today Pirelli produce the 165HR15 Pirelli Cinturato CA67 which is a perfect tire for an early 911, or for that matter a 912 or 356. At the end of the 60's low profile tires were developed, and of course Porsche, being the company they were, embraced this modern technology with the 911. The low profile alternative to the 911's original 165HR15 was a 185/70VR15. Again Pirelli were chosen as one of the original tires on these classic Porsche 911's, fitting the 185/70VR15 Cinturato CN36 HS that are still produced today by Pirelli, very much with the classic 911 in mind. The early Porsche 930 3.0 Carrera & 930 Turbo cars fitted 205/50R15 P7 on the front and 225/50R15 P7 on the rear. Then the later 930 Turbo & the 930 Carerra “Turbo Look” Porsche moved to 16” wheels and fitted 205/55R16 P7 and 245/45R16 P7. The early 911 SC still fitted the 185/70VR15 & 215/60VR15 tyres for which we would suggest the Pirelli CN36. Then in 1986 along with some other setup changes the 911 SC moved onto a 195/65R15 front tyre. However from 1985 Porsche were offering 162 wheels on these cars and fitting 205/55R16 Pirelli P7 and 225/50R16 Pirelli P7 on the rear.